Cosmobeauté is far more than an exhibition, it’s unique format extends into networking and business matching, providing a uniquely powerful opportunity for brands and suppliers to do business and build their brands providing one of the most efficient ways to grow your business in the Southeast Asian region. Since its launch in 2005, Cosmobeauté has been the premier business-to-business event for the beauty industry in the ASEAN region. Launched in Malaysia, this key exhibition brand has since extended it’s reach to Indonesia in 2006 and onwards to Vietnam in 2008 and now Myanmar and Thailand in 2014 and 2015 respectively. Annually over 45,000 industry professionals now visit Cosmobeauté to explore the latest trends and products from within all segments of the industry from Asia, Europe and the United States. Since its establishment in 2005, Cosmobeauté Asia has endeavoured to be the premier sourcing exhibition and industry event for beauty trade professionals from the ASEAN region. Accumulating 10 years of accomplishment in enhancing beauty trends and extending business perspectives for the industry, Cosmobeauté Asia receives endless encouraging endorsements and acknowledgements from leading trade authorities and industry sources. 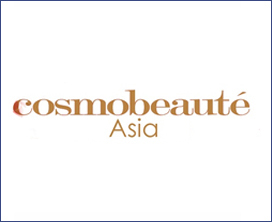 Cosmobeauté Asia continues to provide an opportunity for brands from around the world to establish their business through this connective platform to meet potential importers, distributors, salon owners, beauticians and newcomers in the industry.